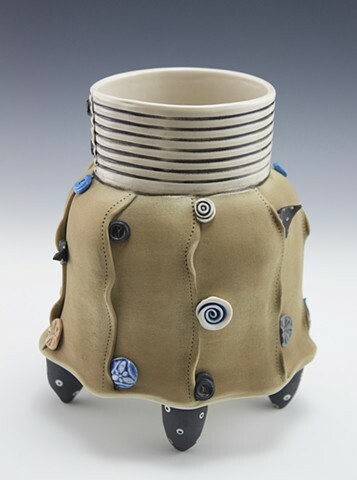 8 x 7 x 5"
A vase that mimics vintage fabric but is made of high-fired porcelain. The glazed interior allows it to be used for greenery. SOLD Check back later for similar work. I am making these slightly differently now, with the upper part similar to "In Midnight's Garden.